Looking for help with groundworks in Norfolk? Well look no further than the quality services offered by West Dereham Plant Ltd. With over 25 years of experience in the trade, you can count on us to provide a quality service at an affordable price. 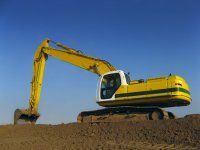 For professional plant hire in Suffolk, give us a call today. For help with civil engineering in Suffolk and beyond, give West Dereham Plant Ltd a call today. We offer the complete package from thorough consultations to plant hire and the supply of materials. We work with major contractors and private clients to provide quality groundworks in Norfolk and the surrounding areas. We have over two decades of experience in the industry and our customer service is second to none. We are a local, family business that prides itself on offering high quality plant hire in Cambridge and the surrounding areas. If you need help with groundworks in Norfolk and beyond, give West Dereham Plant Ltd a call today. Our staff are highly skilled and we have a wide array of plant machinery for hire. Whether you're looking for a digger or lifting machinery, give us a call today to hire our quality machinery. When you need help with civil engineering in Norfolk or Suffolk, give us a call today. When you need plant hire in Lincolnshire and beyond, look no further than West Dereham Plant Ltd. You can contact us through our handy contact page or via the number to the side of the screen. For quality groundworks in Norfolk, call us!